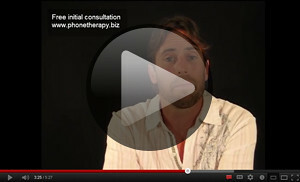 Looking for a therapist who can help you quickly and effectively? Therapy doesn’t have to be a long drawn out process. Whether you’re suffering from depression, anxiety, or any other kind of challenge you want a therapist who can help you bring about change right from the start, to get to the deep roots of your problems and achieve results as quickly as possible. 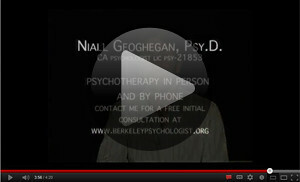 I specialize in a form of psychotherapy that is depth-oriented but can also be time-limited. I work with individuals and couples in my office in Berkeley, CA, and also work with many clients remotely by telephone. It’s not easy to choose a therapist. The intention of this website is to give you an idea of how I work, a taste of my personal style, and then to allow you to schedule a free initial consultation. I specialize in Coherence Therapy (previously known as Depth Oriented Brief Therapy), a therapeutic style that helps my clients begin making headway on their problems right from the start and can often achieve resolution in a minimal number of subsequent sessions. Most people respond well to how I work, and many discover the process of gaining new insights about themselves in this way to be surprisingly enjoyable. I am a Certified Advanced Practitioner of Coherence Therapy. From 2005 to 2015 I collaborated closely with Bruce Ecker on the Coherence Therapy Training Program of the Coherence Psychology Institute. In that role I trained many other licensed practitioners how to integrate Coherence Therapy into their practice. More information can be found at the Coherence Therapy Website. I am also a contributing author to the most recent book published on Coherence Therapy, Unlocking the Emotional Brain (Routledge, 2010). New clients often ask me if I’ve ever come across a situation like theirs before. In my 8 years as a psychologist at Kaiser Permanente I had the privilege of working with over 1000 clients from widely diverse backgrounds in terms of race, class, sexual orientation and religion. I can confidently say that most every type of problem has come through my door at one time or another. No matter what your background or lifestyle, or what problems you’re dealing with, the answer is yes, I’m sure I’ve helped others work through similar circumstances before. If you are interested in working with me, our next step will be to connect by phone for 20 minutes so you can feel out whether I would be a good fit for you, and to give me a clearer sense of your therapeutic goals and how I can help. If during the course of our talk I get the sense that my therapeutic style is unlikely to be helpful for your particular situation I’ll let you know and will make appropriate referrals whenever possible. Furthermore, if by our third session I sense that we aren’t likely to make headway, I will let you know and make appropriate referrals at that time as well. Aside from Coherence Therapy, I am also experienced in the practice of EMDR (Eye Movement Desensitization Reprocessing), a procedure commonly used to treat symptoms of trauma, panic and anxiety. It is one of a number of techniques I employ to work with these symptoms. More information on EMDR can be found at the EMDR Website. In addition, I incorporate techniques drawn from a wide variety of other therapy modalities, including Process Work, Gestalt, Hakomi, Psychodynamic Psychotherapies, Focusing, Parts Work, Diamond Approach Inquiry and even incorporate Cognitive Behavioral (CBT) strategies when appropriate.